The bassist from Bob Marley's band the Wailers has taken his claim for a £60m share of the late reggae singer's estate to the High Court in London. Aston Barrett claims he is owed the royalties from a contract signed with Island Records in 1974, plus earnings from songs co-written with Marley. Barrett - who has reportedly fathered 52 children - alleges that he was only paid a proportion of the amount owed to him after Marley's death. Universal-Island Records say all the former band members agreed to monetary settlements to end any further litigation. The court was told Barrett and drummer brother Carlton - who was murdered in 1986 - had met Marley in the late 1960s when the singer was not well known outside the Caribbean. Barrett's lawyer Stephen Bate told the court that the early collaborations with Marley proved a success. 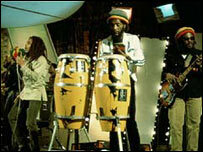 Mr Bate said the line-up had built on the "extraordinary songwriting abilities of Bob Marley". "They realised they had a new sound no one else had got," he said. "The chief reason for the musical breakthrough and international acclaim was Aston Barrett and his brother." 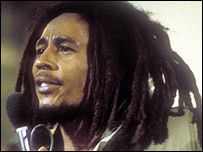 In 1974, Marley told Barrett that he had signed a contract giving the brothers a share of royalties, said Mr Bate. By 1976, the band had an agreement that any session musicians would be paid a fee, Marley would take 50% of earnings and the rest would be shared between the Barrett brothers, said Mr Bate. Marley's widow Rita is due to give evidence during the hearing, which is expected to last up to three weeks. Lawyers for Universal-Island Records will put the case for the record company.